What makes your company look professional and can travel with your employees and clients where ever they go? 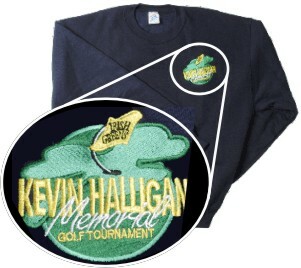 Your company’s embroidered name and logo worn by your personnel and clients. Create custom apparel for your company with Direct Embroidery from Summit. Whether used as staff shirts or for client gifts, embroidery is an upscale way to present your company on wearables. GET NOTICED with golf shirts on the greens, the job site, or a trade show... even at a grocery store as they stop on the way home from work. Present your message with class and sophistication on Ping, Bill Blass, and other name brands. Embroidery is ideally suited for limited quantities, multiple colors, and a mix of apparel in the same run. Embroidery's portability makes your logo more versatile. A standard left front image can sew on hats, shirts, jackets, golf towels, and more with no extra charges for multiple colors or mixing different garments in the same run. We design and digitize in-house for quicker turn-around and guaranteed high quality imagery on your garment.